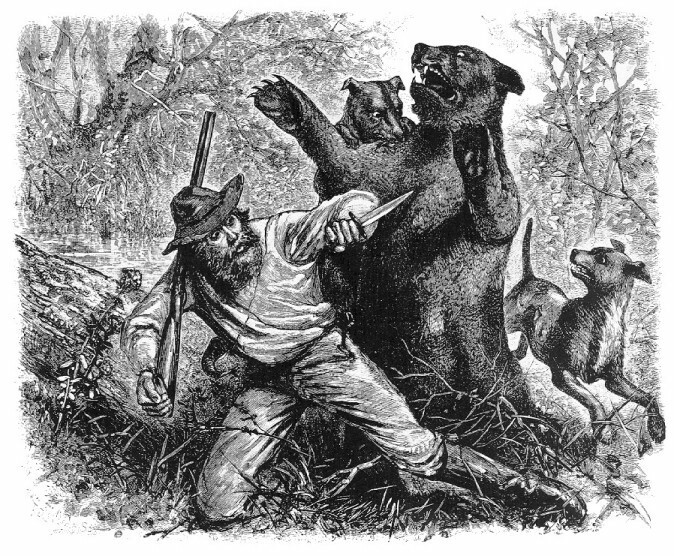 Hugh Glass is believed to have been born in Philadelphia around 1783. Little is actually known about Glass. He was a sailor captured by pirates working for the Louisiana buccaneer Jean Lafitte. Given a choice between death and working for Lafitte, Glass chose piracy and sailed for a year under the skull and crossbones. In 1818, Glass and a companion escaped from Lafitte’s crew on Galveston Island and waded across the shallows to the Texas coast. Wary of the cannibalistic Karankawas, they went north, managing to evade the Comanches and the Kiowas only to be captured by Pawnees in present-day Kansas. Accepted into his captors’ tribe, Glass learned their language, tracking, hunting and survival skills. The Pawnees taught him how to navigate without a compass, cross swollen rivers, collect edible plants, start fires and a host of tricks that would serve him well as a mountaineer. 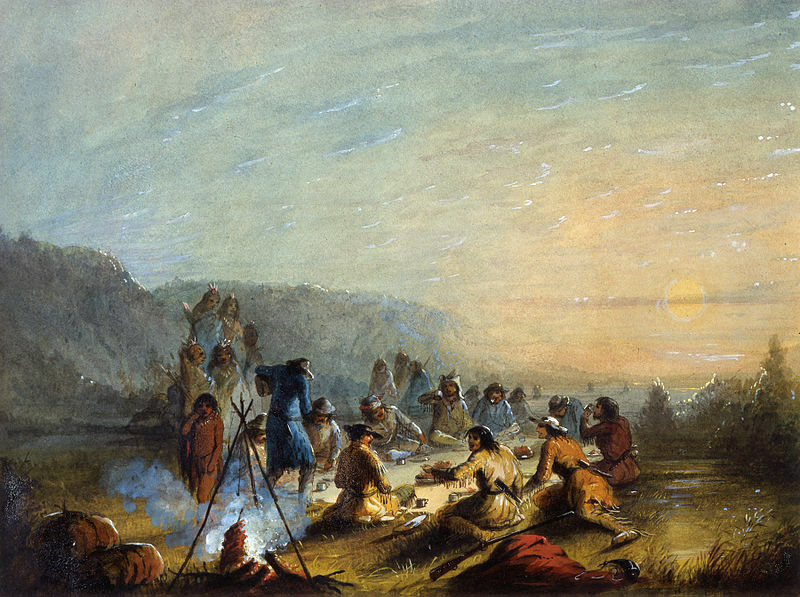 In 1822 the tribe traded in St. Louis, Missouri, and Glass took this opportunity to escape. After he managed to escape, Hugh Glass signed on to go on a fur-hunting expedition into the northern Missouri River area. On this expedition, events occurred that transformed Glass from a lucky freebooter to a legend of survival. Glass had wandered off to hunt when he surprised a huge grizzly sow with her cubs. With the average male grizzly weighing roughly 800 pounds and possessing a bite capable of breaking cast iron, a bear was nothing to trifle with. Next to humans, the bear was the most dangerous animal found in the Missouri River drainage. He didn’t have a chance to shoot the grizzly, so using only his knife and bare hands, Glass wrestled the full-grown bear to the ground and killed it. In the process, he was badly mauled and bitten; the battle had left Glass half-dead, with a broken leg and huge scratches all over his body. General Ashley, the leader of the expedition, became convinced Glass would not survive his injuries. The party was in a hurry to get to Yellowstone, so General Ashley asked for volunteers to stay until Glass was dead and then bury him. It couldn’t be long, they wagered, then they could catch up. The company would pay each a bonus worth several month’s wages. John Fitzgerald and Jim Bridger stepped forward and, as the rest of the party moved on, began digging his grave. But after three days, Glass was still alive and Fitzgerald and Bridger began to panic as a band of hostile Indians was seen approaching. They took his rifle, knife, tomahawk, flint, steel, powder and left him half-dead. Bridger and Fitzgerald later caught up with the party and incorrectly reported to Ashley that Glass had died. Glass wasn’t about to die after all. He discovered his possessions were gone. He tended his own wounds and made great use of the survival skills taught to him while a captive of the Indians. Glass lay mutilated and alone, more than 200 miles (320 km) from the nearest American settlement; Fort Kiowa, on the Missouri River. 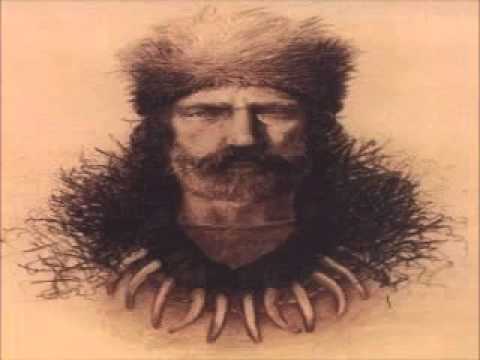 Glass set the bone of his own leg, wrapped himself in the bear hide his companions had placed over him as a shroud, and began crawling back to Fort Kiowa. To prevent gangrene, Glass allowed maggots to eat the dead, infected flesh in his wounds. According to Glass’s own account, he was driven by revenge. He told others that the only thing that kept him going was the thought of killing the men who had left him for dead. It took Glass two months to crawl to the Cheyenne River. 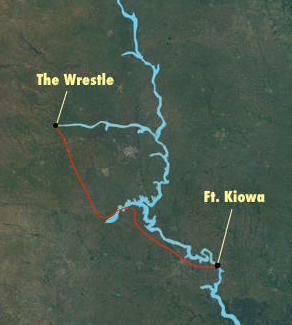 There he built a raft from a fallen tree and allowed the current to carry him downstream to the Missouri and on to Ft. Kiowa, a point about four miles north of the present-day Chamberlain. After he recovered, he tracked down both John Fitzgerald and Jim Bridger. In the end, Glass didn’t kill them because Bridger was only 19 years old, and Fitzgerald was in the Army (which would not have taken kindly to Glass killing one if its soldiers. Glass eventually returned to the Upper Missouri, where he died in 1833 in a battle with hostile Arikaras Indians.